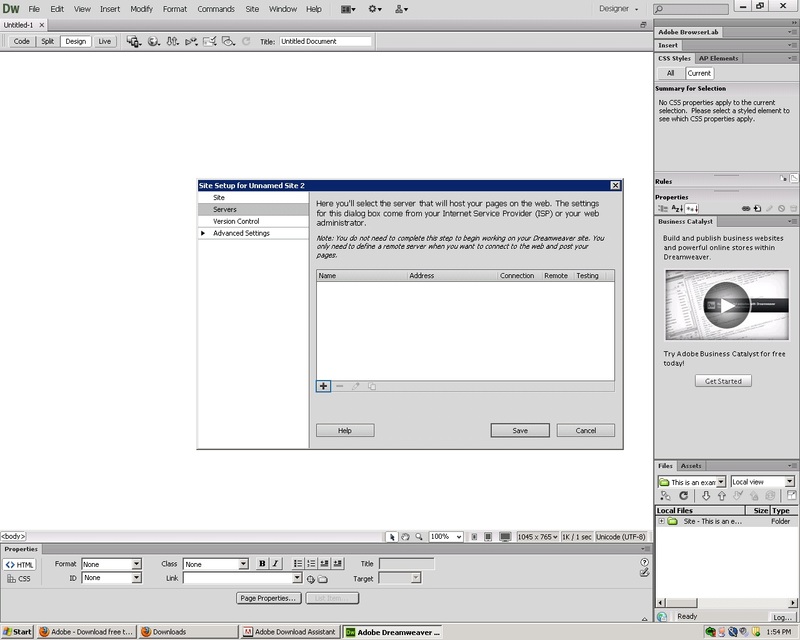 After building your website with Adobe Dreamweaver®, you can publish it to your hosting account. Define a Site — Tells Dreamweaver where to find the files for your website on your computer and how to connect to your hosting account. Put Your Files — Moves your site's files from your computer to your hosting account, making them accessible to visitors going to your domain name in a Web browser. From the Site menu, select New Site. 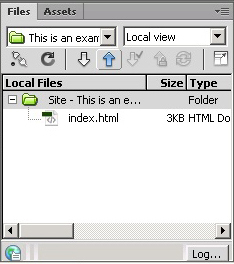 Enter a Site Name, and then select your Local Site Folder. Click Servers, and then click Add new Server. Server Name — Enter a name for this server connection. Connect Using — Select FTP. FTP Address — Enter your hosting account's primary domain name. Username — Enter your hosting account's user name. Password — Enter your hosting account's password. Root Directory — Enter the directory for the domain name you want to use. Web URL — Enter your website's URL. 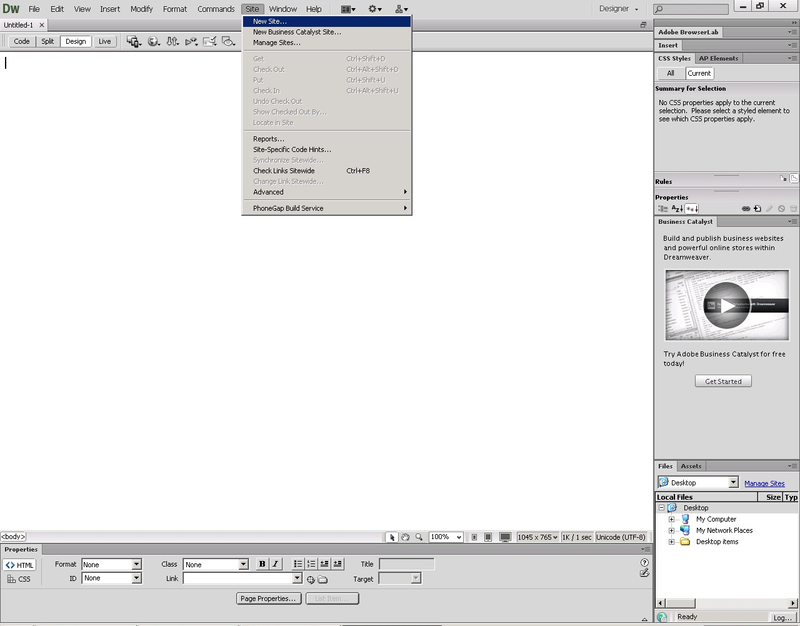 From the Files window, select the files or folders to publish, and then click Put Files. Note: As a courtesy, we provide information about how to use certain third-party products, but we do not endorse or directly support third-party products and we are not responsible for the functions or reliability of such products. 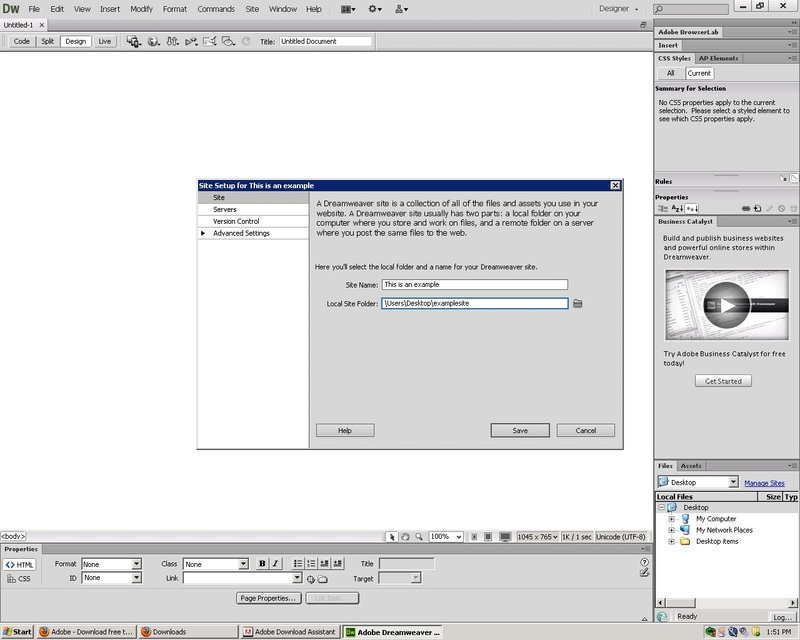 Dreamweaver is a registered trademark of Adobe Systems in the United States and/or other countries. We are not affiliated with, endorsed or sponsored by Adobe or Adobe products. 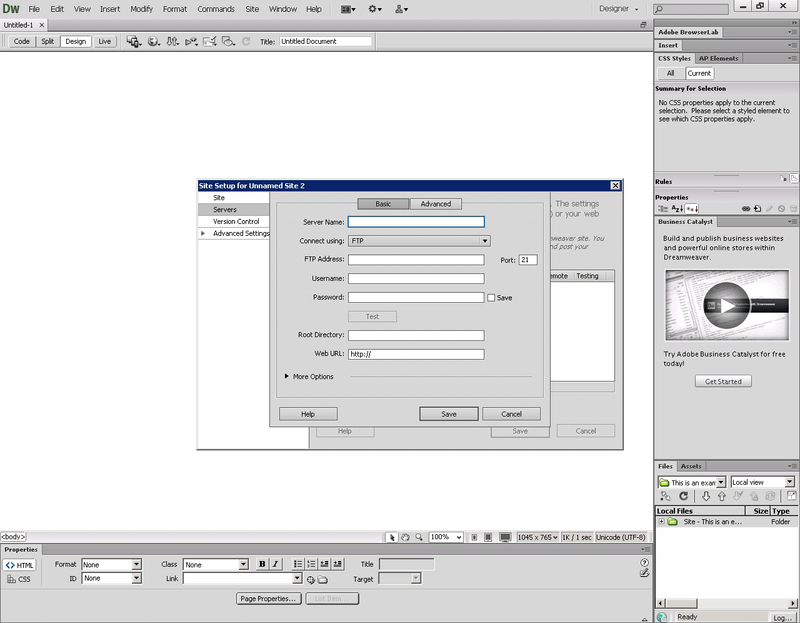 Adobe product screen shots reprinted with permission from Adobe Systems Incorporated. Hvad er min websites rodmappe? Hvad er min websites IP-adresse? Hvad gør jeg, hvis mit website er blevet hacket?